teaching and learning, encouraging students to make links between topics and other subjects. Jill Rutherford is the Academic Director and founder of Ibicus International, one of the IBAEM regions leading training organizations. 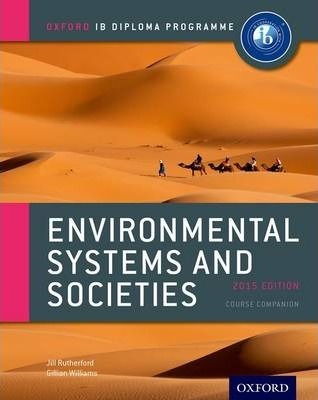 She has extensive experience teaching and consulting on IB Environmental Systems and Societies. Gillian Williams is Education Durector at Utahloy International School in Zengcheng, China. She has experience of teaching and examining IB ESS, TOK and Geogrpahy, and has been invoved in curriculum review for both ESS and TOK. Prior to her move to China, Gillian taught in Jordan, Tanzania, and Malaysia.